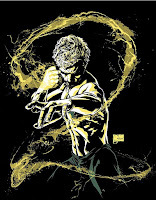 Iron Fist (2017), Season 2, TV-MA, 10 episodes - I seem to have enjoyed the first season of Iron Fist more than most, but even though I found enough cool comic book references and moments to classify the overall season one experience as positive, I certainly can't argue the fact that it was easily the weakest Marvel/Netflix contribution to the Marvel Cinematic Universe (MCU). The good news is that Season 2 is significantly better than its predecessor. Don't get me wrong, it isn't perfect, but new showrunner Raven Metzner has taken great strides in course-correcting the series after its critically-panned, lackluster first season.